After failures of Financial Institutions during the financial crisis in 2008, senior executives of the financial institutions face the heightened risk of being sued by the shareholders for gross negligence. Financial Institutions need to hire only professionals that provide evidence that they are qualified and are “fit and proper”, to use the Basel III language. Organizations need assurance that employees have the knowledge and skills to accept more responsibility. Supervisors and external auditors ask for independent evidence that the process owners are qualified, and that the controls can operate as designed because the persons responsible for these controls have the necessary knowledge. The marketplace is clearly demanding qualified professionals in risk and compliance management. Certified BASEL-III Professionals enjoy industry recognition, have more and better job opportunities, secure the best jobs, and make more money. They are more satisfied as they enjoy much more benefits for spending their time for other job descriptions. It is important to be certified and to belong to professional associations like the Indiaforensic. 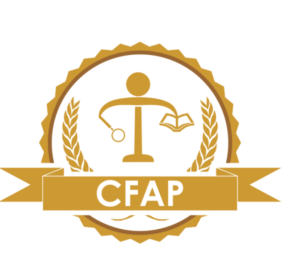 Your names would appear in the Directory of the Certified Professionals. In order to address the growing need of the Certified professionals in the BASEL III era, Indiaforensic has launched the Certification in BASEL III. This is a global accord which aims to strengthen the capital base of the banks. It requires the banks to provide for the recessionary times. This certification requires the professionals from financial institutions to study for the Certification Manual for atleast 90 days. On Completion of the study, online examination would be conducted for the certification program. These fees are valid for 3 attempts. Which also means that there are no re-examination fees for the student, if he fails. This is an important certification for the professionals who are looking to be a part of the compliance teams of the Banks. Certified BASEL III Professionals helps the banks to comply with the global requirements. CBP earn more than their non-certified colleagues because of the visible evidence they can produce to their employers about their skills. CBP certification is documented evidence of expertise and experience, representing a high level of skill, knowledge and professionalism. Globally CBP is identified as in-demand…one of the most marketable credentials today. CBP has emerged as the gold standard in the area of fraud. The CBP is accepted worldwide as the standard of excellence in the BASEL III Compliance profession.